Robert Jarosh is a Tampa, Florida based music director, pianist, and educator. As a keyboard player, Robert has worked on dozens of shows, concerts, and other performances including the National Tours of Wicked, Beautiful the Musical, Andrea Bocelli in Concert, and the first National Tour of Elf the Musical. In Florida, Robert works extensively as a pianist and keyboard player. He is an on call accompanist for Norwegian Cruise Line, Walt Disney World, Sea World Parks and Entertainment, and others. Robert is a staff accompanist at the University of South Florida for the School of Theatre and Dance. Additionally, Robert has enjoyed working with other great Tampa organizations and theatres including Berkeley Preparatory School, Plant High School, Alonso High School, The University of Tampa, Jobsite Theatre, American Stage, Stageworks Theatre, The Straz Center, Temple Schaarai Zedek, Temple Beth-El, and more. This past year, Robert had the opportunity to music direct and play/conduct for the nation’s first regional premiers of First Date the Musical and Silence! the Musical at the The David A. Straz Jr. Center for the Performing Arts. At Busch Gardens Tampa Bay, Robert has played in numerous shows and worked as both a vocal director and vocal captain throughout the past four years. A graduate of the University of Tampa, Robert studied Piano Performance with Dr. Grigorious Zamparas where he earned his B.A. 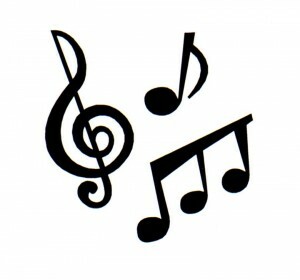 in Music. About Lessons Lessons are custom tailored to each student's specific strengths, needs, and goals. Robert strives to make every lesson not only educational and enlightening, but fun and exciting. Hands on and stimulating learning combined with a relaxed and comfortable atmosphere make for the most productive sessions. Students will learn to read music, work on fundamental technique, discover ear training and aural skills, understand theory, master rhythm, compose and improvise, and much more. Robert uses a combination of lesson books,technology, repertoire, and games to help teach most effectively. His strategy of combining Traditional methods (e.g. 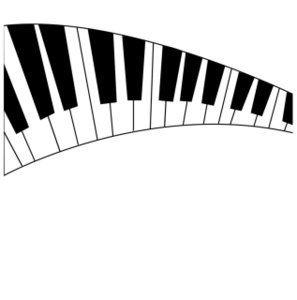 reading notes, scales, technique) with more Contemporary learning styles (incorporating Pop, Jazz, and Commercial Music) allows students to be the most well rounded pianists and musicians. Adults: Is It Too Late To Start? You are never too old to learn to play the piano! Whether you have decided you want to learn for the first time, or you have had lessons in the past as a kid or adult, Robert will help you fast-track your learning for your particular goal. Whether it's playing a Beethoven Concerto or just wanting to learn how to play your favorite tunes from a songbook or fake book to entertain friends and family, Robert can help you get there fast! He has students from 6 years old to teenagers to adults with teenagers, and every lesson is tailored for the individual. You're never too old to start! "The 6 Benefits of Music Lessons"
"Music Lessons Spur Emotional and Behavioral Growth in Children"
"Why It's Never Too Late"